Special Containment Procedures: SCP-462 is stored in a temperature- and humidity-controlled vault at Site ██. Under no circumstances are Class-D personnel to be allowed near the object. Despite its state of disrepair, SCP-462 does not show any signs of further deterioration due to rust. 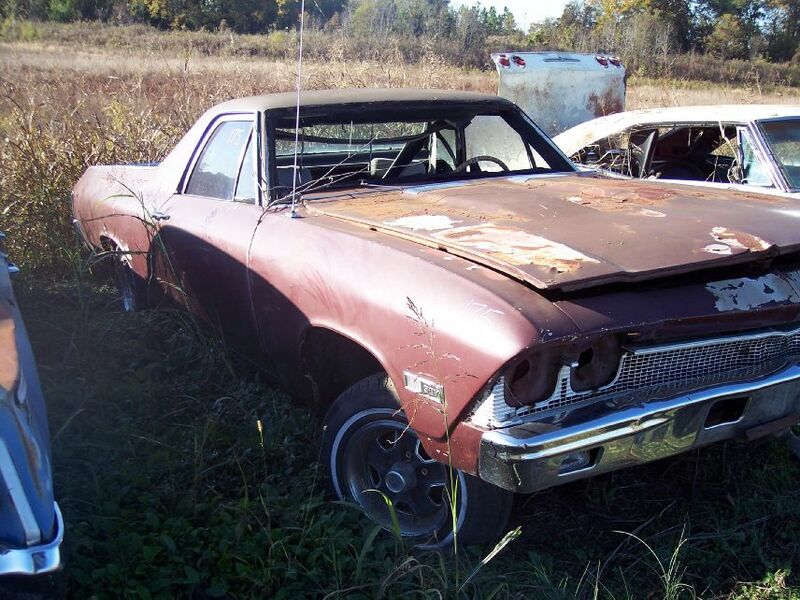 Description: SCP-462 is a 1968 Chevrolet El Camino in a state of serious disrepair, with several broken windows and severe rust damage. A single key is inserted into the ignition. To date, all attempts at removing the key have failed. If a human sits in the driver's seat and turns the key as if to start the vehicle, they will instantaneously disappear. Around 42% of SCP-462’s drivers have been known to suddenly reappear without the vehicle at a distant location after a random period of time, ranging from 43 seconds to 7 months, near the spot that they have confirmed as being their chosen destination. These drivers rarely arrive at their destination safely; many have been observed falling from a considerable height after reappearing, while others have arrived while flying in the direction of their destination at various speeds, resulting in injuries that are sometimes fatal. Occasionally, test subjects will arrive in various states of dismemberment. In 35% of these cases, the test subject never reappears and cannot be located, even when fitted with a GPS transceiver. The remaining 23% of test subjects [DATA EXPUNGED]. The subjects who survive SCP-462’s traveling process report that they are driving during the time they are gone, and express confusion regarding the experience and their abrupt re-appearance. These reports typically contradict the time between vanishing and reappearing, with most drivers insisting that they have been gone for a few minutes as opposed to the actual period of time their disappearance was observed. The object first came to the Foundation’s attention on October 5th, 2███ when ██████ Marshall inadvertently used it to find his father, who was serving a life sentence at ███████ █████ Penitentiary, ████ km from the object's original location. The prison’s security staff detained Mr. Marshall soon afterward. Questioning was carried out by Agent ███████, who was working undercover as one of the facility’s guards. SCP-462 was immediately located and moved to Site ██ without incident.